​​Both Brighton & Hove Albion and Newcastle United were guaranteed automatic promotion to the Premier League, yet the Championship title was still at stake for either side, although the Seagulls went into the final day ahead by a point. However the real drama was at the bottom, where one of Birmingham City, Blackburn Rovers or Nottingham Forest would be relegated to League One. Wins for both the Blues and Forest would guarantee safety, while Rovers would have to better the result of their rivals. Two teams fighting for the title. A big moment for Blackburn Rovers. Here's how it stands in the Championship. Can Nottingham Forest grab a goal? Zach Clough comes on for Forest. "The Blues are staying up!" #NUFC show a bit of Premier League quality there. Nice flowing move from left to right, beautifully finished by Perez. 18 - Britt Assombalonga has netted 18 goals in 24 league starts for Nottm Forest at the City Ground. Homely. Blackburn are in the Championship drop zone on goals scored. 45 minutes remain of the @SkyBetChamp season. Plenty still to play for... here we go! An @AVFCOfficial red card, a @OfficialBHAFC penalty, and a Glenn Murray goal. Glenn Murray has now scored 23 goals in the Championship this season, only Chris Wood has scored more (26). How's that looking, @OfficialBHAFC fans? A 3-0 lead for @NFFC, and that should see them safe. Blackburn fans singing: "Come on Bristol, come on Bristol." VILLA EQUALISE AND NEWCASTLE ARE ON THE VERGE OF BECOMING THE CHAMPIONS. Six minutes of stoppage time for @BCFC to hold on. Survival for Harry Redknapp's Blues! Results elsewhere mean that Rovers have been relegated to League One. 3 – Blackburn have been relegated to the third tier of English football for the first time since 1979/80. Sorrow.  7th May 2012: Blackburn Rovers relegated from the Premier League. Blackburn have only spent 5 seasons outside the top 2 divisions in their history. Until now. The Venky's effect. Newcastle's 3-0 win, combined with Brighton's draw away to Villa, handed them the title..
Newcastle win the Championship after a late Villa equaliser at Brighton. An incredible end to the season! Champions of the @SkyBetChamp... @NUFC! 3 – Newcastle are the 3rd second tier team to lose their opening 2 games & win the division (also Boro 1926/27 & Sunderland 2006/07). Title. 12 May, 2016: Newcastle are relegated from the Premier League. 7 May, 2017: Newcastle finish the Championship title-winners. So there you have it. The Championship season is finally over and what a rollercoaster final day it was. 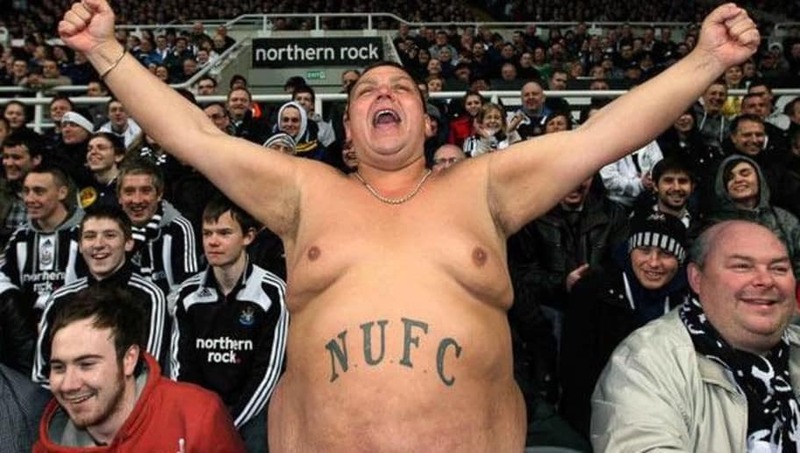 Two of the country's biggest clubs with contrasting fortunes; Newcastle are champions, while Blackburn are relegated. Here's the final table..